Mana Island western coastline and cliffs, looking north to Kapiti Island. Mana Island Scientific Reserve. 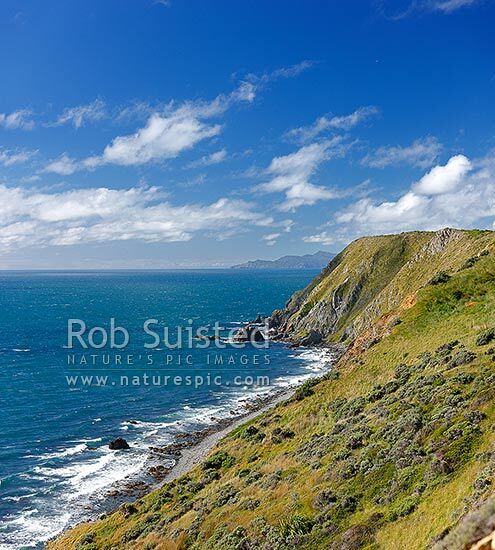 Square format, Mana Island, Porirua City District, Wellington Region, New Zealand (NZ), stock photo.